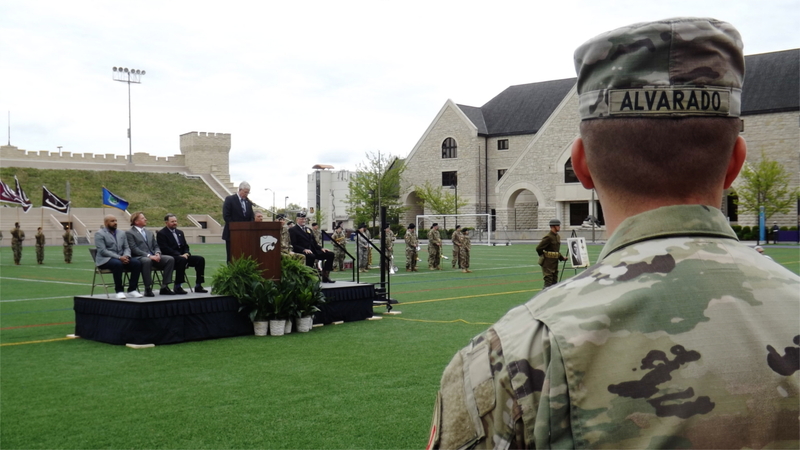 K-State students who lost their lives in World War I were honored Friday afternoon with a re-dedication ceremony of Memorial Stadium. 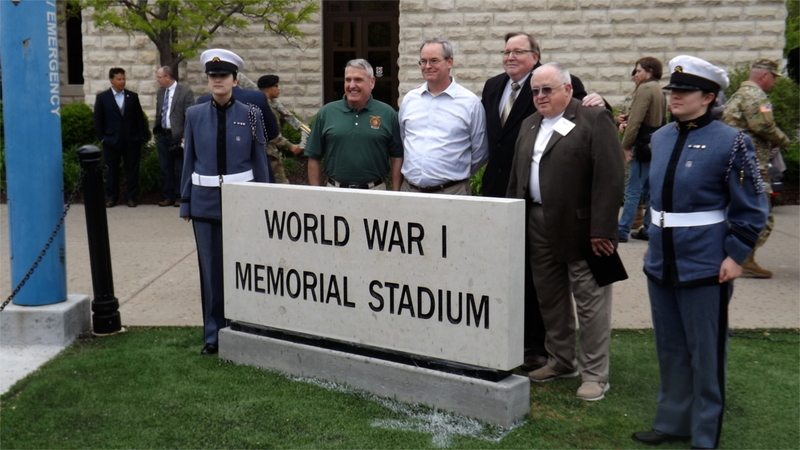 Now, it is officially World War I Memorial Stadium. 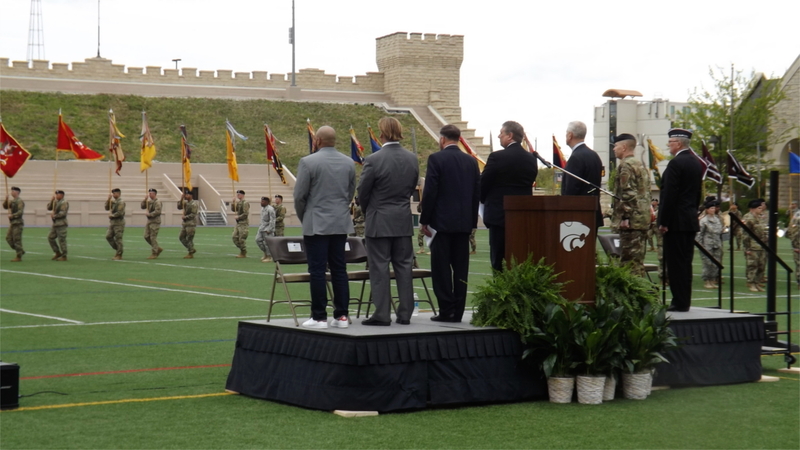 Fort Riley soldiers, dignitaries and a crowd filled the west side of the former KSU football stadium that has been a landmark on the campus of Kansas State University since 1922. 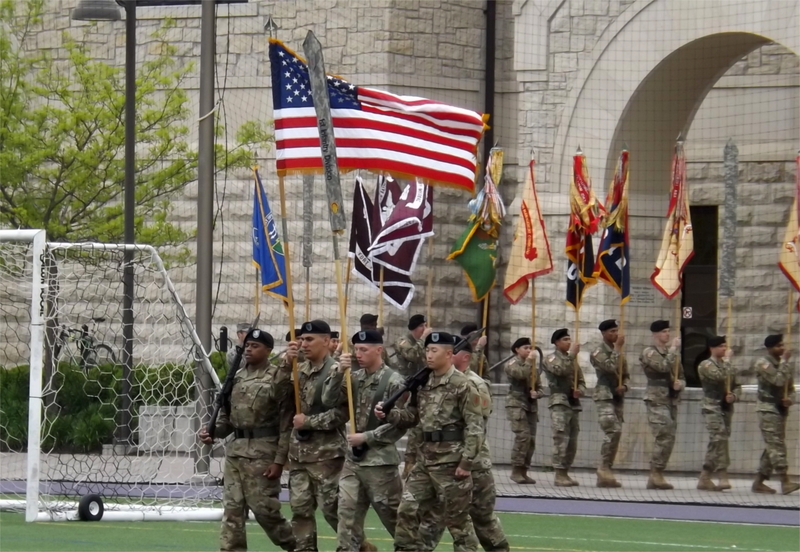 Dunham, a writer and researcher for K-State’s Office of Military Affairs, took one of those seconds to honor Capt. Willis Comfort, a K-Stater who was one of the founding leaders of the 1st Infantry Division before he was killed in France in 1918. After his death, he was posthumously awarded the Distinguished Service Cross — the nation’s second highest military award. 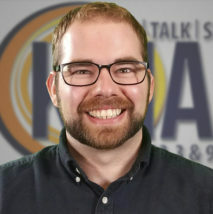 Dunham said he told Comfort’s story to another Distinguished Service Cross recipient, retired Col. Mike McDermott, a Vietnam veteran who is a senior consultant for veterans programs at KSU. Brigadier General Patrick D. Frank, left, and retired Col. Mike McDermott salute the memory of Capt. Willis Comfort. 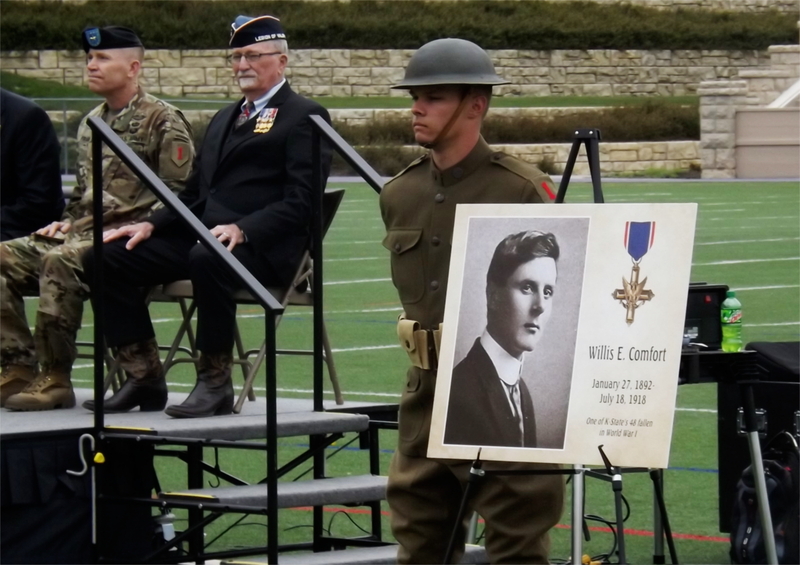 Comfort was one of 48 K-State students who left for World War I but did not return. McDermott discovered Comfort qualified to be a member of the Legion of Valor, a federally-chartered corporation that requires a Medal of Honor, Distinguished Service Cross, Navy Cross or Air Force Cross for admittance. McDermott discovered Comfort’s name wasn’t in the group’s roster. 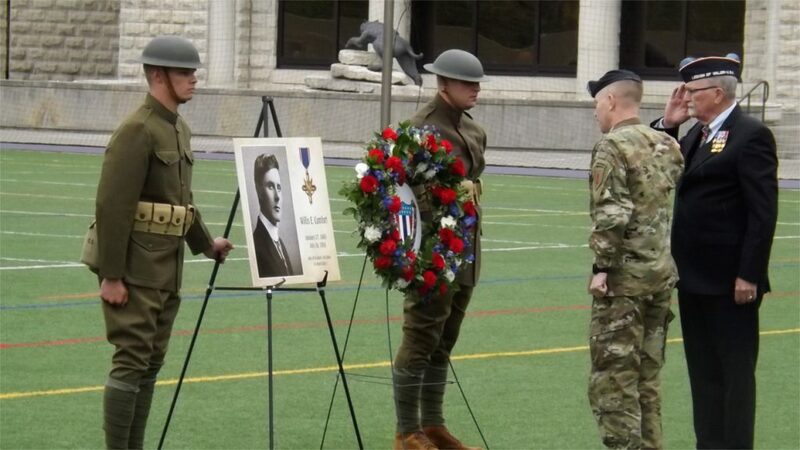 Comfort’s photo, guarded by a solider dressed as they did in WWI, was featured at the ceremony and a wreath was laid near it by McDermott and Brigadier General Patrick D. Frank of Fort Riley. The day — which was threatened by drops of rain — was possible because of the curiosity of Dunham. 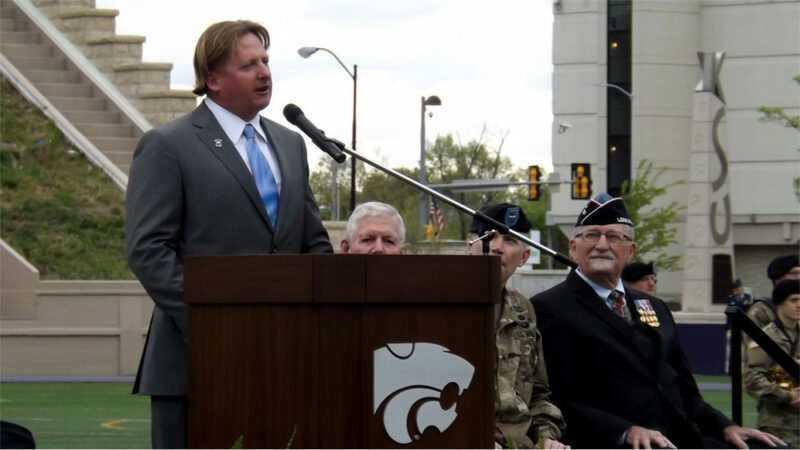 Dunham, a 1996 KSU graduate, took special notice of a plaque on the southern end of the stadium’s east stands while visiting Manhattan in 2014. The plaque displayed the names of 48 K-State students who lost their lives in World War I and Dunham, who lived in New Hampshire at the time, wanted to know more about them. KMAN’s Dave Lewis addresses the crowd. 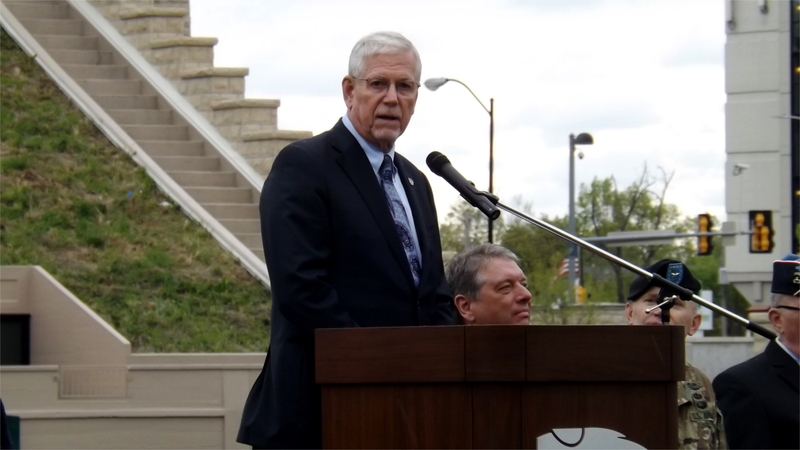 Lewis was the Master of Ceremonies for the re-dedication. Initially, the task wasn’t as easy as he hoped and more was required than a simple Google search of names. “Nothing came back,” Dunham told the audience. “And this did not sit well with me, and thus began an odyssey to find out who these individuals were. And as I pulled the string and unraveled what became a long journey down the rabbit hole, the stories of the 48 fallen emerged. Once more and more information was found, Dunham said he reached out to K-State officials. 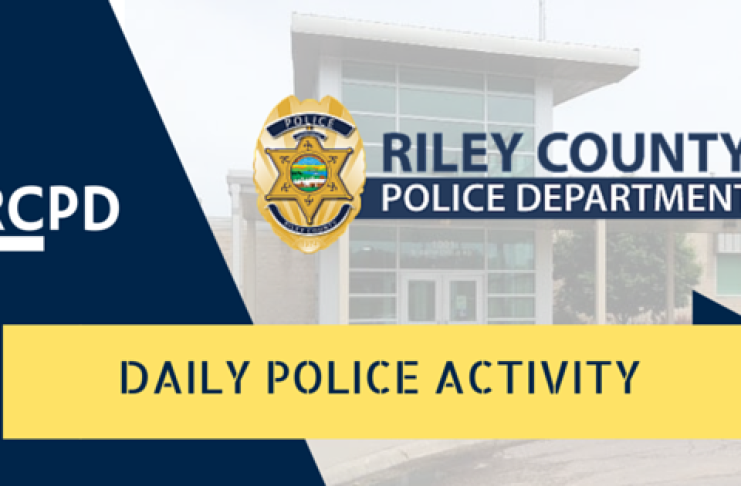 Interest grew and snowballed into Friday’s ceremony. 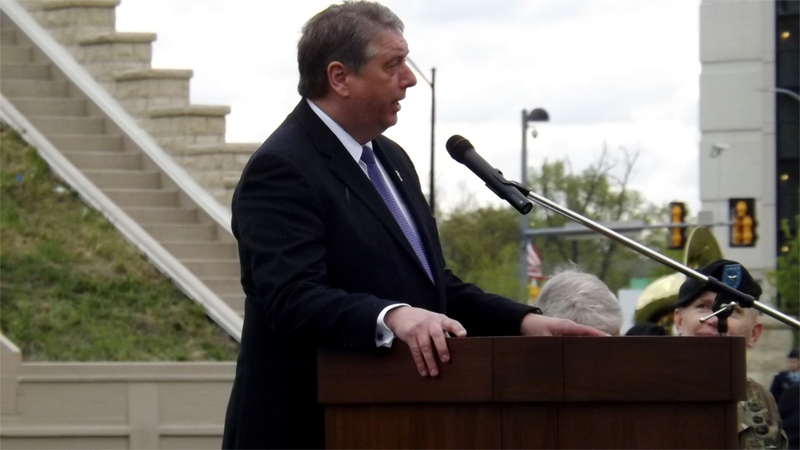 Dunham said that the stories of the lost soldiers and K-State students are remarkable. 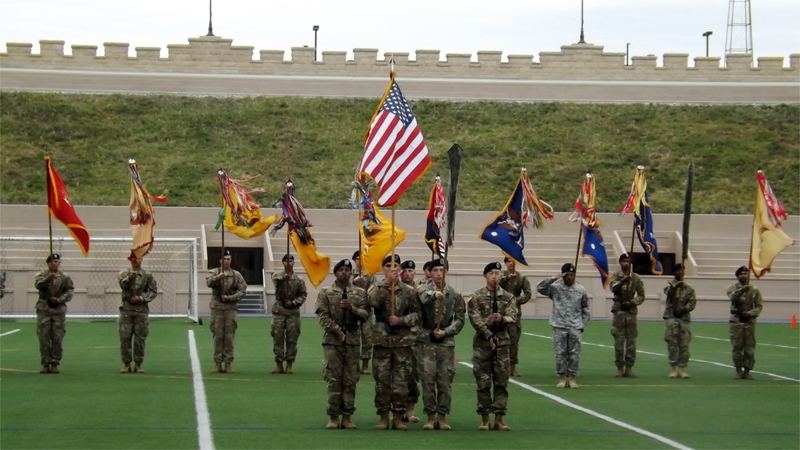 Although not all of them went to war with zeal, they answered the call of their country. “Individually, they are worthy of Hollywood epics, but taken together, they are a national treasure,” Dunham said. Dunham, who said the day was also an opportunity to unite what he called an increasingly divided country, hopes to release published works of the 48 fallen soldier’s stories.